Support for the arts must come from every level within a community. Some of the most important allies the arts can have are elected officials and candidates. As such, arts advocates need to cultivate relationships with elected official and candidates and recruit them as arts champions. These relationships can be built through both traditional and non-traditional means. This webinar will look at organizations and individuals engaging political officials and candidates on arts issues in less traditional methods. 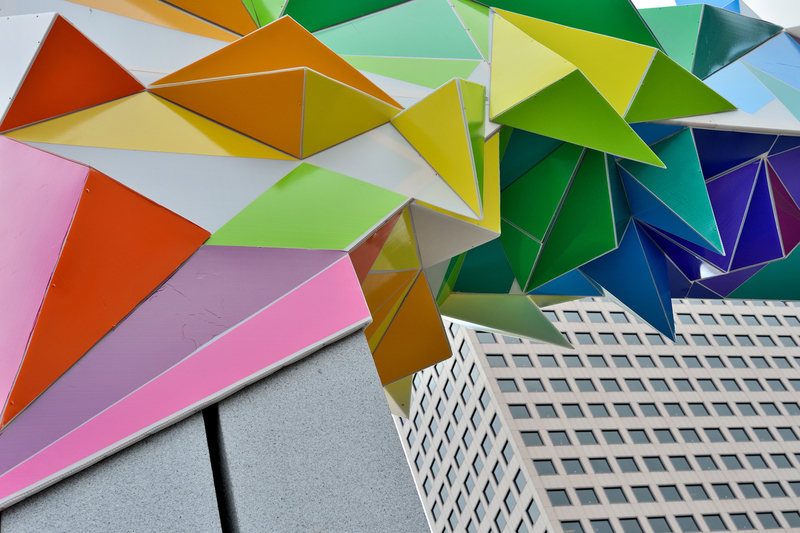 Arts-based community development drives meaningful and equitable change within communities. It is the duty of local arts agencies to ensure that fertile ground exists, to allow for growth and vibrancy of the arts and culture sector. The Arts Engage Candidates series will demonstrate to attendees the importance of proactively articulating arts issues to candidates running for office; cultivating relationships and buy-in from candidates running for office; and realizing their own leadership potential in running for office. Attendees will hear less traditional approaches to engaging elected officials and candidates on arts and culture issues. Attendees will learn new strategies in building relationships with elected official candidates. Sarah Gonzales Triplett is the Director of Public Policy and Advocacy at Creative Many Michigan, a statewide nonprofit organization dedicated to developing creative people, creative places and the creative economy for a competitive Michigan. Her work focuses on advancing policy and sustainable funding to build support for the creative industries at the state and federal level by: directing advocacy and policy initiatives, developing research, creating communications tools, and leading grassroots organizing and coalition building efforts. Triplett is also an adjunct faculty member in Michigan State University's Arts and Cultural Management program. Before dedicating her work full-time to Creative Many, Sarah served as Assistant Director of Communications and Community Engagement for the Early Childhood Investment Corporation and Deputy Chief of Staff at the Office of Michigan Speaker of the House of Representatives. Triplett was elected in 2017 to serve a the chair of the State Arts Action Network (SAAN) for Americans for the Arts and is serving her third consecutive term as chair of the East Lansing Arts Commission. In 2018, Triplett was elected to serve on the Board of Directors for the Tourism Industry Coalition of Michigan (TICOM) in addition to her role as chair of the TICOM Advocacy Committee. George Patrick [GP] McLeer, Jr became the Executive Director of the South Carolina Arts Alliance in July of 2016. Previously, GP served as the Administrator of the Office of Cultural Affairs for the City of Mauldin, SC, where he was responsible for developing and managing the Mauldin Cultural Center, the Mauldin Public Art Trail, and the Railroad Concert Series, as well as managing all city-wide marketing, and advising on economic development projects. GP is currently on the Board of Trustees for St. Joseph’s Catholic School (Greenville, SC), and a member of the College of Charleston’s School of the Arts Council. He also serves on the board for the Fountain Inn Chamber of Commerce, the Fountain Inn Chorale, Palmetto State Arts Education, and as a Steering Committee member for the Arts in Basic Curriculum Project. GP holds a BA in Arts Management from the College of Charleston, where he has been recognized with the 2016 School of the Arts Young Alumni Award, the Julie Jett Arts Management Citizenship Award, and placed in the School of the Arts Hall of Fame. He was also awarded the first-ever Alumni Heart Award by St. Joseph’s Catholic School for his contribution to the arts community. GP currently resides in Fountain Inn, SC. Ensuring elected officials are made aware of and are held accountable for the issues and needs of the arts sector is integral to ensuring communities have fertile ground with which they can grow and thrive. One way advocates can achieve this is by engaging in the political process—by educating and communicating the value of and holding their elected officials accountable on arts and culture issues. In this session, attendees will hear about organizations which have created arts-based mayoral forums in an effort to gauge the readiness and willingness of political leaders to foster a strong arts and culture sector. Attendees will learn why it is important for political leaders to be engaged in needs of the arts sector. Attendees will hear from organizations which have hosted arts-based mayoral forums and learn the best practices and recommended resources for executing a successful mayoral forum which addresses arts and culture issues. Jeannie L. Howe is the Executive Director of the Greater Baltimore Cultural Alliance (GBCA), a regional, membership organization that was organized by artists and cultural organizations to unify, nurture and promote the cultural sector in Baltimore and its five surrounding counties. Under her leadership, since January 2012 GBCA has transformed and expanded its services to the cultural community, including: new professional development initiatives for artists and emerging arts management leaders of color; re-launched audience development strategies; supported artists with awards and grants; and advocated for the health, visibility, and financial strength of the sector. Membership during this time has increased from 80 to nearly 500 artists and organizations. Prior to joining GBCA, Howe was founder and president of BayCliff Associates, and provided management and fundraising consultation for nonprofit clients, including Everyman Theatre in Baltimore for whom she led a successful $17.7 million capital campaign. Her career has included leadership positions with a range of nonprofit organizations including the Alley Theatre, Baltimore Reads, and The Marrow Foundation (now Be the Match Foundation). Howe has held many volunteer positions including her current service on the Baltimore Orchard Project and Callaway Garrison Improvement Association Boards of Directors. Howe received a M.A. in Theatre from Miami University of Ohio and a B.A. in Theatre from St. Mary’s College of Maryland. In 2014, the Daily Record recognized her as one of Maryland’s Top 100 Women. Hired as MASSCreative’s first Executive Director in March of 2012, Matt directs the advocacy campaigns and organizational development for the organization. For 30 years, he has run campaigns and organized volunteers and communities for the public interest on a local, state, national level. In 2011, Wilson directed environmentalist and social entrepreneur Bob Massie’s campaign for the U.S. Senate. Previously he coordinated Health Care for All’s campaign to monitor the takeover of the nonprofit Caritas Hospitals by a for profit private equity firm. As the National Director of the field staff for MoveOn.org from 2005-2006, Matt helped develop and implement the strategy behind MoveOn.org’s successful 2006 Call for Change, which recruited and trained more than 100,000 volunteers in 60 swing Congressional and Senate districts. As the Founder and Director of Toxics Action Center from 1989 to 2005, Wilson assisted more than 300 neighborhood groups address toxic pollution issues in their communities. He grew the organization from one staffer working in Massachusetts to a New England-wide organization with 11 staff. Wilson graduated from Dartmouth College in 1983 and also earned a Masters of Public Administration at the Harvard Kennedy School of Government in 2008. Join us for this member only briefing! Join State and Local Government Affairs Manager, Lizzie Dorman, and Membership Marketing Senior Coordinator, Bridget Woodbury, to chat about the State Arts Action Network, their conversation about public revenue streams, ways you can loop into conversations like these, and more! Member Briefings are our monthly opportunity to talk to you about what’s happening now! Mark your calendars for the third Tuesday of every month at 3pm to stay up-to-date on what’s happening at Americans for the Arts and across the sector. These calls are for you, so please let us know if there’s a topic you’d like to know more about by contacting Bridget Woodbury at bwoodbury@artsusa.org. We firmly believe that our #AFTAmember network is one of our strongest resources, so after our update, we’ll open the floor up to your questions, comments, recommendations, and lessons learned – we hope you’ll take advantage of each other’s expertise! If you will be viewing the live event on your ipad or iphone you will need to download the MobileMeetings APP By E-STREAM.COM, Inc. and enter the meeting number:426261. With the arts advocacy season fully upon us, join Randy Cohen, our VP of Research and Policy, to discuss the latest updates to the top “10 Reasons to Support the Arts." With the arts advocacy season fully upon us, join Randy Cohen, our VP of Research and Policy, to discuss the latest updates to the top “10 Reasons to Support the Arts” and get 10 case-making arrows to include in your arts advocacy quiver to convince anyone to support the arts. Randy Cohen is Vice President of Research and Policy at Americans for the Arts, the nation's advocacy organization for the arts. A member of the staff since 1991, Randy stands out as a noted expert in the field of arts funding, research, policy, and using the arts to address community development issues. He recently published Americans Speak Out About the Arts, a national study about the public's opinions and participation in the arts. He publishes The National Arts Index, the annual measure of the health and vitality of arts as well as the two premier economic studies of the arts industry—Arts & Economic Prosperity, the national impact study of nonprofit arts organizations and their audiences; and Creative Industries, an annual mapping study of the nation's 703,000 arts establishments and their employees. Randy led the development of the National Arts Policy Roundtable, an annual convening of leaders who focus on the advancement of American culture, launched in 2006 in partnership with Robert Redford and the Sundance Institute. His 10 Reasons to Support the Arts Blog recently received the Gold Award from the Association of Media & Publishing—their top honor for best blog post of the year. In the late 1990's, Randy collaborated with the President's Committee on the Arts and the Humanities to create Coming Up Taller, the White House report on arts programs for youth-at-risk; and the U.S. Department of Justice to produce the YouthARTS Project, the first national study to statistically document the impact of arts programs on at-risk youth. A sought after speaker, Randy has given speeches in 49 states, and regularly appears in the news media—including the Wall Street Journal, The New York Times, and on C-SPAN, CNN, CNBC, and NPR. This is 2 of 4 Private Sector Network Calls in 2018. During this second installment of our quarterly Private Sector Network calls, we will continue to explore what defines the creative economy and hear about examples across the country on how this work is addressing broader community issues. This call is open to all AFTA members and particularly those interested in learning more about private sector work. Want to join this call, but aren't a member? 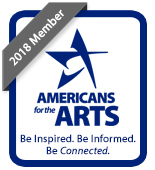 Visit https://www.americansfortheart... or reach out to our membership team at (202) 371-2830 or membership@artsusa.org to become a member and join this call. Many people find salary negotiations to be uncomfortable and nerve wracking. Should you ask for more money? What if you insult your boss? These are some of the most common questions from first time negotiators but ultimately, a well-executed negotiation can make both parties more satisfied. Whether it's a first-time job offer or an annual performance review, there are simple steps you can take to reach a more valuable, mutually beneficial agreement. Justin Johnston is the founder and chief creative ninja of Side Hustle Syndicate, a nonprofit organization helping artists find access to capital and space for their creative enterprises. Prior to building SHS, Dr. Johnston was the inaugural executive director of Wild Goose Creative. He was a distinguished university fellow at The Ohio State University where he received the university's first Doctor of Musical Arts degree with a specialization in arts enterprise. Justin is also an accomplished classical musician and has performed with The Cleveland Orchestra, The Toronto Symphony and the Chicago Civic Orchestra. In 2006 he was the only American clarinetist to be awarded the Schleswig-Holstein Fellowship. He currently lives in Columbus, Ohio with his wife Kerry, son, William and their pets Wellington and Kissy. Are you getting the most out of your mentoring experience? Research has shown that mentoring relationships have the most success when both the mentor and mentee take an active role in developing the relationship. Join Pam Breaux (mentor) and Ariel Shelton (mentee) for a lively discussion and presentation about mentorship. Hear their stories as they look at the role of the mentee and mentor, review best practices in establishing the relationship, and share how to make the most of it. Through attending this session, participants will be able to understand and identify what successful mentoring relationships look like. Participants will learn best practices for mentors and mentees, including how to find the best match, how to establish a meaningful relationship, and how to set goals and objectives to maximize the return for all parties involved. Participants will be given tools for defining the roles of the mentor and mentee, setting goals and objectives, and sample mentorship timelines. Pam Breaux is the President and CEO of the National Assembly of State Arts Agencies (NASAA) since 2015. 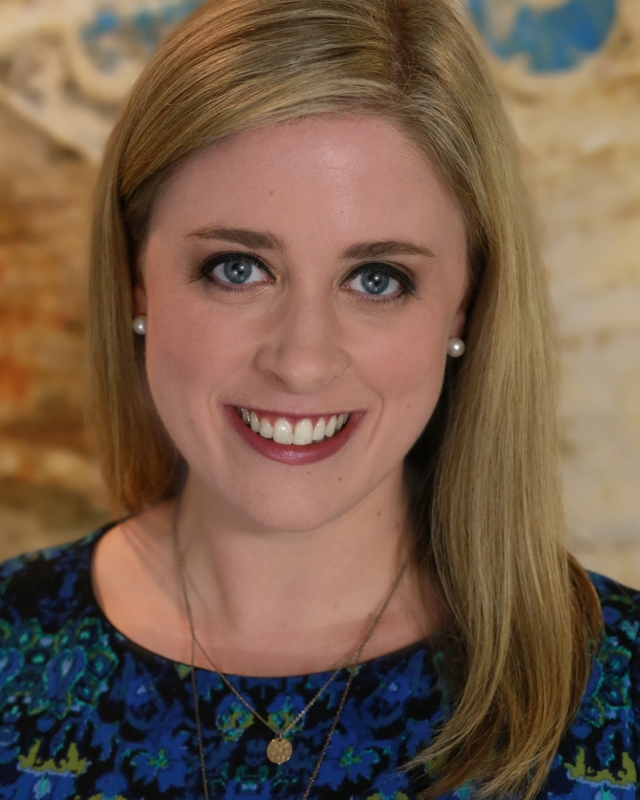 In this role, she works with the association’s board of directors and staff to advance NASAA’s policy and programmatic mission to strengthen America’s state and jurisdictional arts agencies. A native of Lafayette, Louisiana, Pam has held leadership positions at the local, state and national levels. While in Louisiana state government, she was secretary of the Louisiana Department of Culture, Recreation and Tourism (CRT), assistant secretary of CRT (overseeing its cultural development portfolio), and executive director of its state arts agency (the Louisiana Division of the Arts). During her time at CRT, Pam developed and led Louisiana’s cultural economy initiative and spearheaded the successful UNESCO inscription of Poverty Point State Historic Site (an ancient Indian site) as a World Heritage site. Before working in state government, Pam was executive director of the Arts and Humanities Council of Southwest Louisiana and managed southwest Louisiana’s Decentralized Arts Funding Program. She has served on the boards of the U.S. Travel Association, NASAA, South Arts and the Louisiana Board of International Commerce. Pam is currently a member of the U.S. National Commission on UNESCO. She graduated from McNeese State University with a B.A. in English and earned an M.A. in English and folklore from the University of Louisiana at Lafayette. Dedicated to inclusivity and equity in the arts through community and artist led programming, Ariel is currently Program Manager for the Performing Arts for Everyone & Community Engagement team at the Kennedy Center. Prior to joining the Kennedy Center, Ariel worked for National Arts Strategies, Washington Performing Arts, The Washington Women in Jazz Festival, The MusicianShip, and Flashband. She has also worked as a consultant for several emerging projects, including a fellowship program for the LA Chamber Orchestra and the Inner City Youth Orchestra of LA which was recently funded by the Mellon Foundation. She has served as a guest speaker on several panels for organizations including Google, Georgetown University, and Chamber Music America, and has contributed as a reviewer for program applications for the DC Commission on the Arts and Humanities, the National Parent-Teacher Association, and the Association of Performing Arts Professionals. Ariel’s passion for the arts began onstage. As a classically trained French Horn player, she has had the opportunity to perform with ensembles across the world, from an international festival in Guadeloupe celebrating the work of composer Chevalier de Saint George, to a Disneyland performing band. She takes as many opportunities to visit her hometown of Detroit, Michigan as she can, and is a graduate of Howard University, where she obtained her degree in Music Business. If you will be viewing the live event on your ipad or iphone you will need to download the MobileMeetings APP By E-STREAM.COM, Inc. and enter the meeting number:967146. Many nonprofit organizations underfund marketing efforts. The marketing budget is often deemed an easy target when cuts are being made. This creates a significant and stressful problem for directors of marketing who often are expected to get good results with less and less resources. The Marketing on a Shoestring Budget webinar presents a set of solutions to counter and overcome a lack of marketing budget. Participants will learn what tools they ‘must have’ when they don’t have money. They will also learn how to use and combine those tools towards effective marketing. A 1-hour Webinar, the Marketing on a Shoestring Budget workshop centers on 5 key elements marketers must have for successful marketing when financial resources are low. Narrative/Story: Activity should connect to a compelling corporate or mission narrative. Participants will learn the significance of the elements presented to the marketing process. Participants will understand how to combine the elements into a potent backdrop for marketing efforts. Participants will experience a reduction in stress when approached to do the impossible because they will have tools to fall back on. Mark Cardwell is the founder and executive director of the Ohio Marketing Association (OMA) a member-based nonprofit providing professional development, networking and employment opportunities for Ohio marketing professionals. A distinctive mission of OMA is to strengthen nonprofit impact through marketing education. Mark has 20 + years of experience in arts marketing, operational leadership, executive level management, media sales and communications. Mark has a long history of board level community service and has been recognized for his work with local and national awards. Mark holds a Bachelor of Fine Arts from the Columbus College of Art and Design. Email continues to have the highest ROI of any digital marketing channel. Are you maximizing your campaigns to drive open rates and conversions? Learn how to get more engagement and click-throughs, as well as best practices for email design, subject lines, segmenting lists, behavior-based sending, and the basics of email automation. You will walk away with actionable knowledge that you can implement today. Participants will learn how to implement design best practices, list segmentation, and behavior-based sending practices in email marketing campaigns. Ceci Dadisman has 15 years of experience successfully marketing the arts and nonprofits utilizing innovative and cutting-edge initiatives. 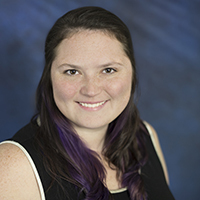 Currently the Digital Marketing Manager at FORM and the President of Cardinal + Company, she is nationally recognized as a leader in her field and specializes in the integration of digital marketing and technology into traditional marketing methods. A frequent public speaker, Ceci is known for her easy-going and vernacular style and she creates open learning environments with an emphasis on information sharing and useful takeaways. She is also a senior contributor to Arts Hacker where she regularly shares timely information and step-by-step tutorials. She is on the Arts Midwest Conference Professional Development Committee, the NTEN 2018 Conference Session Advisory Committee, is the Immediate Past Chapter Leader and Chapter Founder of the West Palm Beach Chapter of Girl Develop It, the Immediate Past President of the South Florida Chapter of the American Marketing Association, and served for many years on the National Arts Marketing Project Advisory Committee and as the OPERA America Marketing Network Chair. She also currently serves on the West Virginia University College of Creative Arts Visiting Committee.